Notes: AKA Croswell Theatre from 1921-1967, see pic below. In 1863 Charles M. Croswell (Michigan governor 1877-81) formed an association to construct a new theatre. 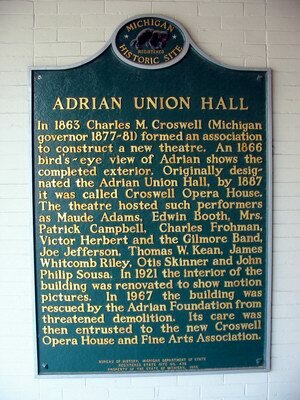 Originally designated the Adrian Union Hall, by 1887 it was called the Croswell Opera House. The theatre hosted such performers as Maude Adams, Edwin Booth, Mrs. Patrick Campbell, Charles Frohman, Victor Herbert and the Gilmore Band, Joe Jefferson, Thomas W.
Kean, James Whitcomb Riley, Otis Skinner and John Philip Sousa. 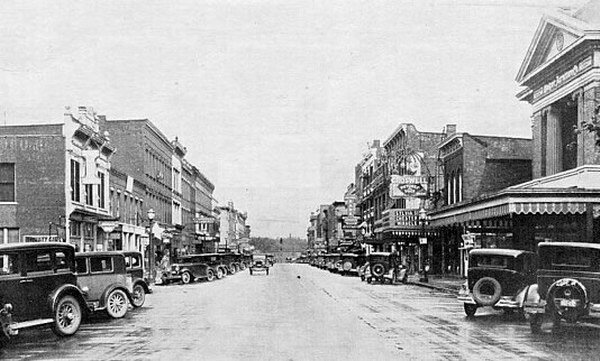 In 1921 the interior of the building was renovated to show motion pictures. In 1967 the building was rescued by the Adrian Foundation from threatened demolition. Its care was then entrusted to the new Croswell Opera House and Fine Arts Association. The Adrian Union Hall/Croswell Opera House, completed about 1866, is a two-story, rectangular structure constructed of red brick laid in common bond. (Two adjacent commercial buildings that now house theater functions are not included in the historic designation. ) The roof is gabled with a low pitch. The cornice is adorned with a corbel table. The stage housing at the end of the auditorium was extended upward and outward in 1896, increasing the fly gallery and stage depth. The 1896 extension is clad in grey asbestos shingle. The side facades each had six round-head windows on the upper story and six segmental-arch-head windows on the lower story which have been filed in with brick. The original facade had a round-arch entrance, executed in polychrome brick, which was concealed in 1882 when a small, brick vestibule was added. Extending from the 1882 vestibule to Maumee Street is a long, narrow lobby built in 1919 concealing the ornamental facade of the vestibule. The facade of the lobby was completed in 1921, and a marquee installed two years later. The lobby is one-story in height with a low-pitched gable parapet set between two brick piers. The surface is of brick with limestone detail. Below the parapet, which is supported by brick piers and a steel beam lintel, is a recessed entrance. The present interior, executed in a restrained Neo-Classical style, dates from the 1921 renovation. The Croswell Opera House is significant for its architecture which, though dating from several different periods, forms a continuum reflecting significant changes in American entertainment forms and the corresponding changes in architectural tastes and function. The Croswell Opera House is also significant for its interrupted career as an entertainment center, among the oldest continuously operated in Michigan, which boasts and impressive list of artist who performed there. Furthermore, the structure is directly linked to Charles M.
Croswell, two-time governor of Michigan (1877-1881) and prominent Adrian citizen. In 1863, Croswell, then a prominent lawyer in Adrian, purchased land at the center of town and formed an association to undertake the construction and management of a new theater, first known as the Adrian Union Hall. The theater hosted a variety of entertainments and notable artists including Edwin Booth, Maude Adams, John Philip Sousa, Thomas Nast, and James Whitcomb Riley. As a large hall facility, it also hosted numerous social events, served as a roller skating rink, and housed the local Baptist congregation while their church was being reconstructed after a fire. The 1921 renovation was directed by architect John C. Brompton of Three Rivers. From 1921 until 1967, the opera house was known as the Croswell Theater and was used primarily as a motion picture house. Since 1967, the Croswell Opera House and Fine Arts Association has managed the opera house as a live theater with regular winter and summer theatrical series as well as a regular lecture series and schedule of community events. The oldest continuously operated theatre in Michigan, and one of the oldest in the country, the Croswell Opera House is a Michigan Historic Site and on the National Register of Historic Places. In 1866, Charles M. Croswell, later to become governer of the State of Michigan, and other area residents opened with pride a new, large hall for stage productions, lectures, and concerts. Called the Adrian Union Hall, but often referred to as Croswells Opera House, Maude Adams flew across the state in Peter Pan and the original cast of Our American Cousin performed the play just 18 months after President Lincoln was assassinated. 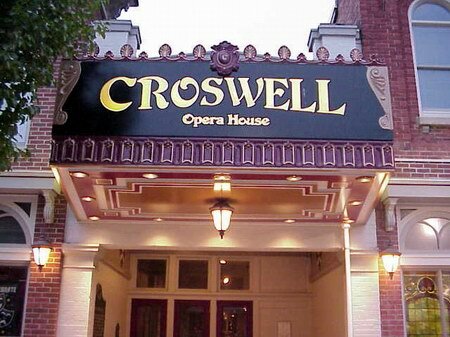 The Croswell also saw performances by Edwin Booth in Hamlet, and a visit from John Phillip Sousa himself! Later the theatre became known as the Croswell Opera House. The Croswell continually entertained our community with great performers of the legitimate stage, vaudville, minstrels, concerts and lectures. 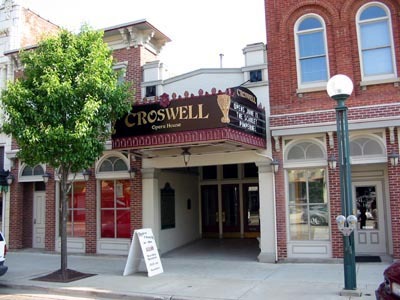 In 1921, as the motion picture industry began to dominate the entertainment industry, the Croswell became a movie house. 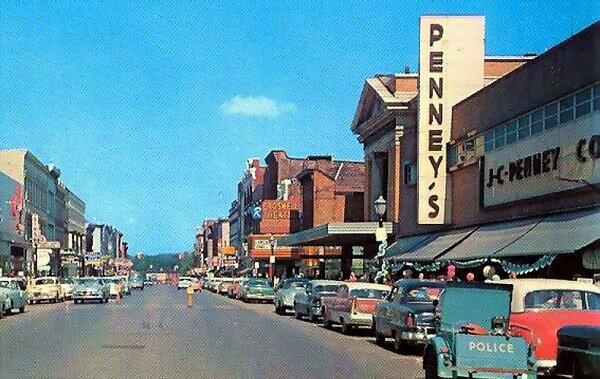 In 1967, as television drew the audience, the fate of the croswell was soon to face the wrecking ball. The Adrian Foundation saved the Croswell Opera House as a community cultural center, with the challenge to operate and maintain it. In the 1970s the Croswell made many improvements in the building and in the quality of programming with the help of the community, local business, foundations, and fine arts grants. The Croswell now presents over 100 theatre performances every year, with over 300 area volunteer actors & actresses with a wide variety of experience helping to perform quality theatre, in drama, comedy, musicals, and more! Why not check out what the Croswell is presenting now, and come visit this historic theatre and experience again, or for the first time, the joy and wonder of live theatre!.